LinkedIn can be a powerful platform for B2B marketing. The professional social networking site now has over 270 million users and 3 million company pages. Based on recent trends, it seems unlikely that the popularity of LinkedIn will wane any time soon. You need to be posting regularly and you should also be interacting with other members as much as possible. LinkedIn groups can be one of the best ways to get people’s attention because groups are targeted at people with specific interests.You should also endorse people wherever you feel that it is appropriate, and generally try to interact with other members as much as possible. Your employees may be an untapped goldmine of promotion. Employees can act as online brand ambassadors for your company, and having multiple active staff members on LinkedIn is great for your company’s image. 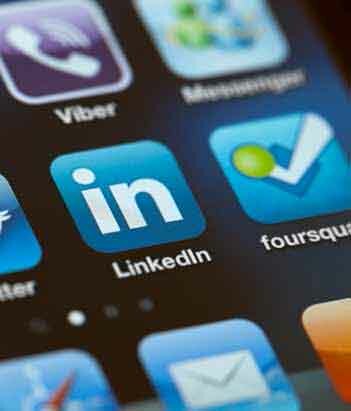 The most effective way to undertake B2B marketing on LinkedIn is by sharing engaging and relevant content and being extremely active in your online interactions.Make sure that you do not undermine yourself by only posting content that is directly related to products and/or services that your business is promoting. The reason that other professionals and businesses will be interested in your LinkedIn profile is that they want to see your industry insights. In the course of posting interesting and insightful material, your credibility and profile will increase. Once you have these things going on LinkedIn, it becomes easier for people to be interested when you do post something that is directly related to a marketing campaign.